At the time of choosing a style to decorate one of the rooms in your home, you should get as much information as possible. How do you know which style is right if you do not know what characterize them? One of the possibilities is the Art Nouveau style. Inspired by the artistic movement of the same name that has more than a century of existence. Also called Modernism, it has its roots in the late nineteenth century during the Belle Epoque in Europe, mainly in Germany and is characterized by its break with convention and classic art. The Art Nouveau rejects the distinction between major and minor arts. This translates to a decoration concept that transcends the placement of expensive paintings on the walls, and retreats into everyday objects, furniture and glasses, advertisements, curtains, etc. As a style of interior, Art Nouveau used curved, asymmetrical lines, flattened arches and exotic oriental decorations that mimic the shape of animals, plants and the female figure. For a room in Art Nouveau style, you should look for modern and contemporary, taking into account the specific characteristics of style. For furniture, it is preferably wood, either painted or varnished. 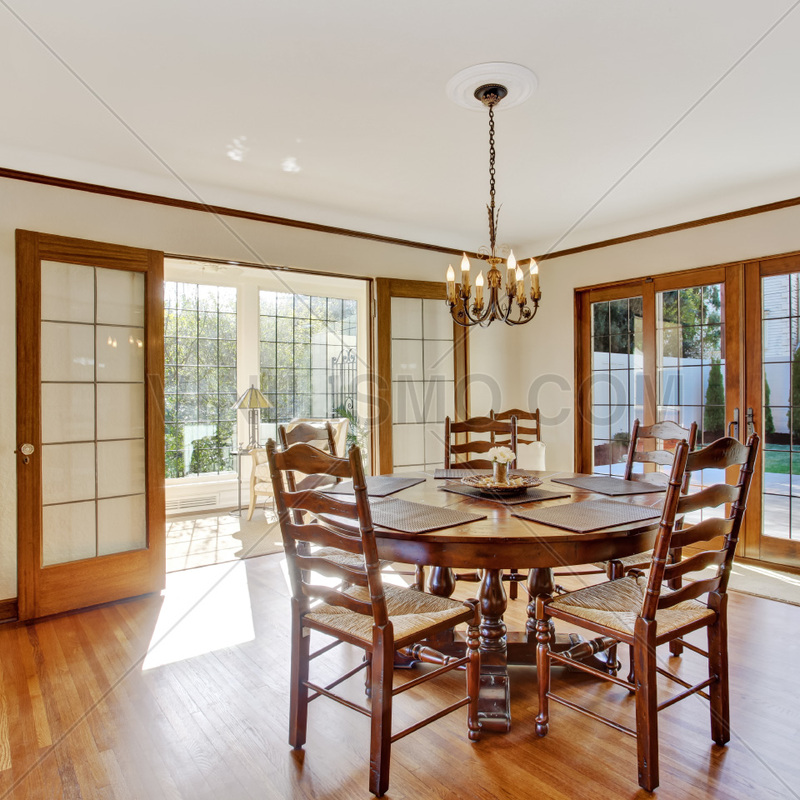 Similarly, a floor of wooden planks goes very well with this style. Complete the decoration of the floor with a carpet, which can have oriental motifs is an excellent complement. There is a wide range of Art Nouveau furniture. The key is finding a piece, such as a beautiful chair that gives personality to the environment, and summon the rest of the decor to harmonize with him. As for the characteristic objects, you can not miss a Tiffany lamp. Frosted glass itself of these lamps can also be used in window panes. In turn, some colors that can be included are the natural green, brown, mustard and lilac. One way to give substance to style, is to buy stickers to decorate the walls of rooms, or to give a touch of Art Nouveau furniture or common artifact. Buy wall decals is an excellent choice to start decorating any room in your home. They are easy to install, clean and allow you to renew without the discomfort of painting a room. 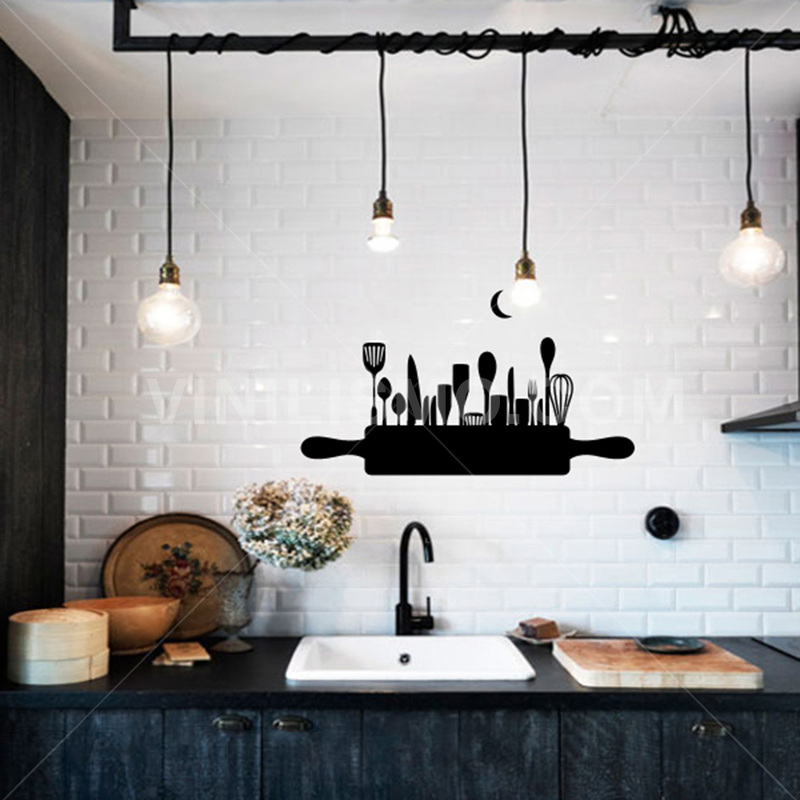 The wall decals can be used to decorate an entire wall as well as to include smaller details on the walls or some furniture, mirror or device. When buying stickers Art Nouveau, you can choose between a beautiful head for bed, a border, or a tapestry to decorate an entire wall paper. You can also include a sheet reproducing a design of the posters Art Nouveu. The lithographs with female figures are a widespread design give style to your living room or bedroom. Finally, remember that the vinyls are highly customizable and you can order the design you are interested in our store if they so wish. From Vinilismo.com we will be waiting your message ready to help in whatever you need. 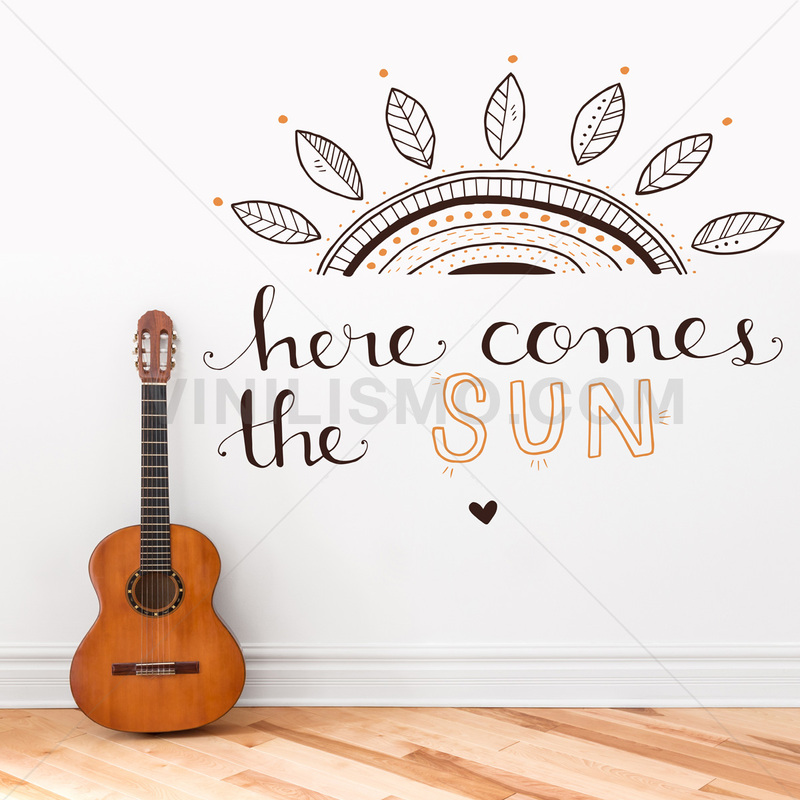 This entry was posted in Interior Decoration, Wall Decals on September 25, 2015 by Vinilismo. Designers love the great outdoors because they allow them to be creative and deploy all their knowledge, include variety of colors, materials, furniture, fabrics and objects. In addition, if the rooms are many, it can be used more than one style in the decoration. But what happens when we have a department of small spaces? It is said that small spaces are doomed to be functional, and it is true. But that should not be neglected and the tasteful decoration. For a designer of environments, a small space to be a challenge and an adventure. You must be able to select the best, most beautiful, what better yet combine, which is functional and useful for the home dweller. Today we give you some tips to decorate an apartment of 42m² with style. 1.-Use of Space: This may seem obvious, it is not so in reality. Knowing how to use the space efficiently is not easy as it seems. You can avail yourself of online sites that allow you to make a virtual replica of your department and your furniture with measures to scale. This will help you find the best way to locate them not to waste space. 2.-Decides the style: Probably a department of this size no more than two rooms. Carefully choose the style you'll use. 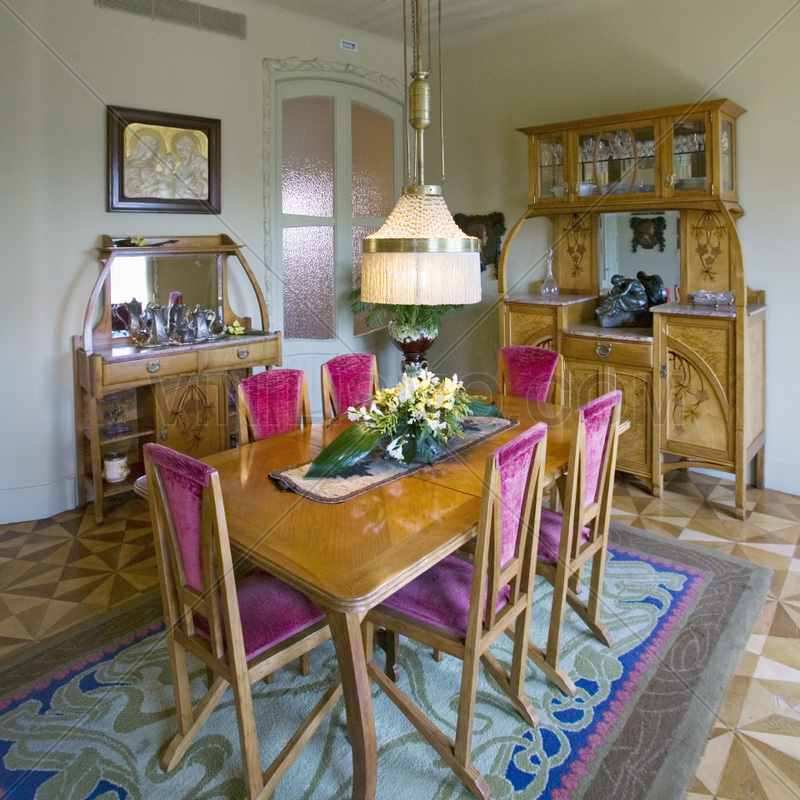 For example, decorate with baroque style it will be difficult and subtract space. Baroque is a style characterized by abundance: objects, colors, materials. If you fill a small room furniture, the space will be further reduced. Best stripped choose more styles, including clear colors that give more brightness and make the space look larger. 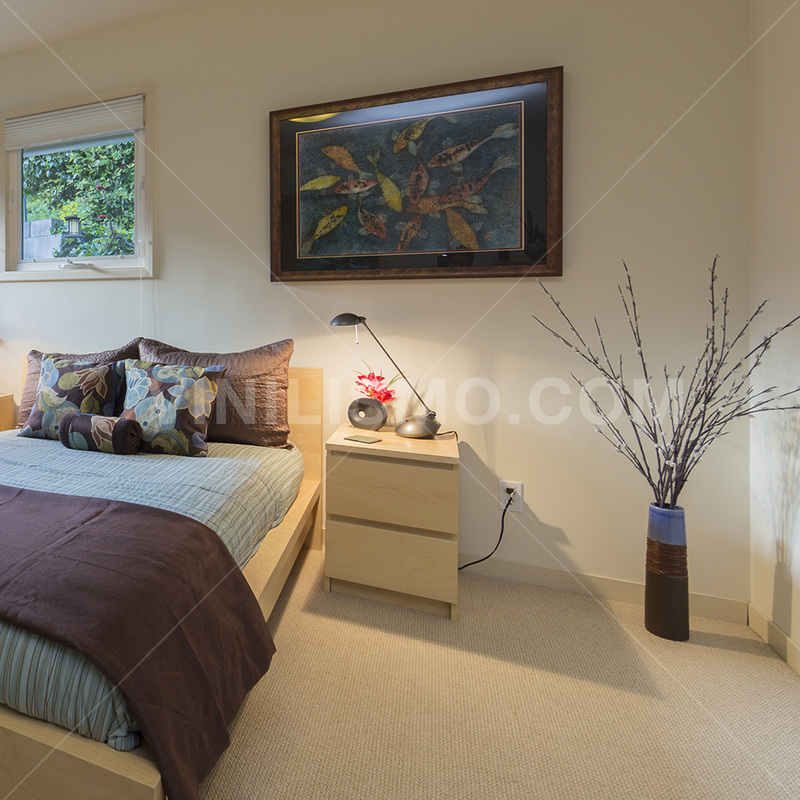 Some styles are suitable for small spaces: minimalist, Nordic and feng-shui. 3.-Look for the "aesthetic functionality" must find the balance between what is useful and necessary, and which gives beauty to a room. It is not always easy but worth a try. Search furniture that meet more than one function, as the bases for beds that include drawers for storing clothes. A space-saving folding desk will also be useful. You need to get creative and practical. 4.-Use Visual Tricks: a large mirror serve for decorating walls but also help create the illusion of more space. Clear and white colors also meet this function. Straight lines also help enlarge the space. 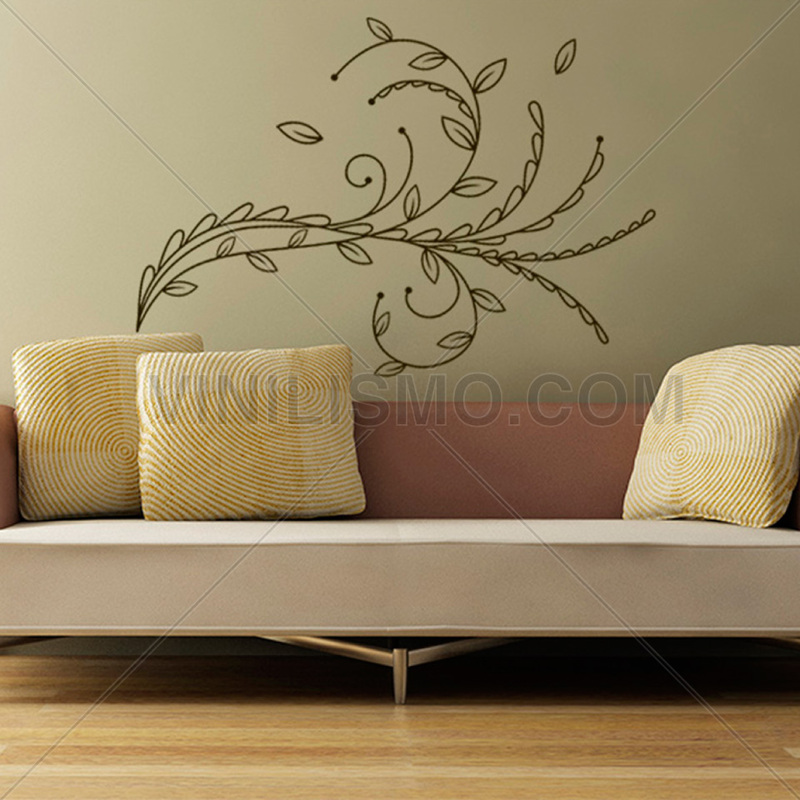 To incorporate these colors and lines a wall decoration lines, a very useful way is the use of wall decals. The wall decals recommended for use in a small environment will be those that have printed motif reduced in size. Choose the reason you like but make sure the drawings are not great. You should also avoid color contrast. Always lean on the soft, light colors, which provide brightness, creating the illusion of more space. 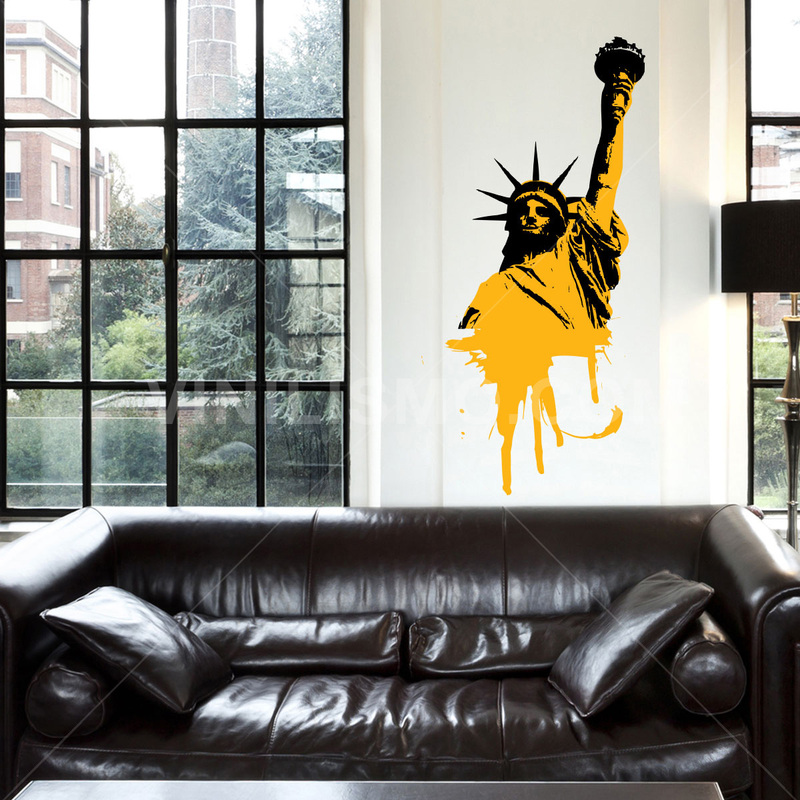 Now that you know how to do it choose your wall decals for your apartment of 42m²! This entry was posted in Interior Decoration, Wall Decals on September 24, 2015 by Vinilismo. One of the latest trends in home decorating is seen on walls with interior bricks. While the technique is used in any environment including bedrooms, kitchens, living rooms and even bathrooms it is very suitable and used in environments used as workspaces. The use of walls of exposed brick industrial style is typical of a particular style of decoration born in America in the 50s Overall houses, industrial style is characterized by its eclecticidad, the use of materials not expensive and glamorous, exposure of bricks and pipes, metal furniture and rustic wood. 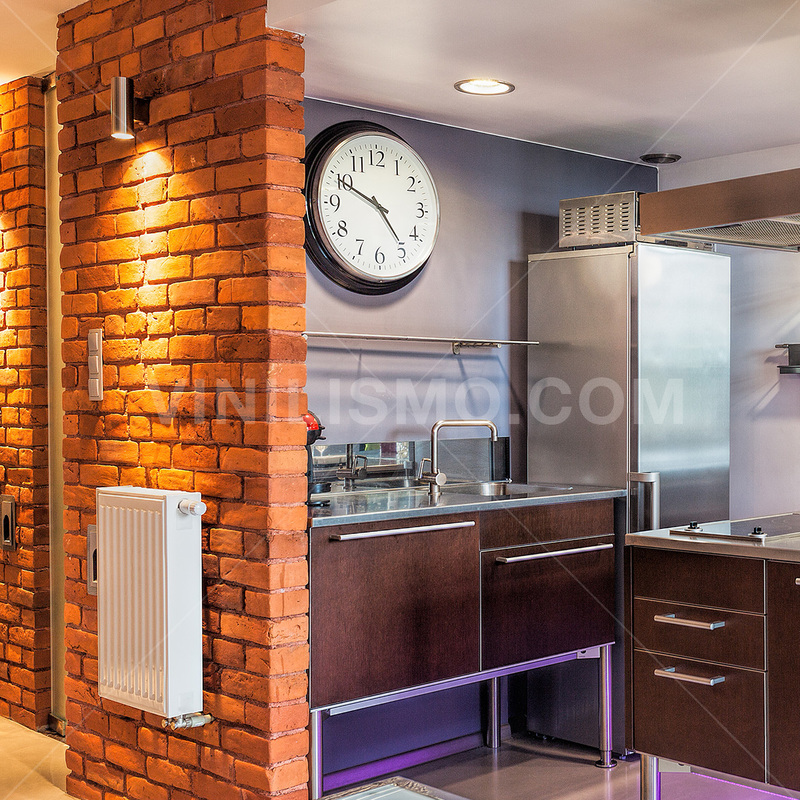 The brick walls are exposed well in the departments loft style, so characteristic of the 80 exposed brick walls can be built for that purpose or can be modified to have a wall in that aspect. In that case, the work should be done by a professional to prevent damage to the building structure. The walls of exposed brick combine well with metal chairs and rustic wooden furniture. If the room has windows, much better. Natural light give life to the place. The brick may be suitable for a workspace or informal, modern office. While, as mentioned above, this type of decoration of houses is characteristic of industrial style, with a few simple modifications can be adapted to other decorative styles. Applying a layer of matte or glossy finish paint you can adapt the idea to the chosen style, providing both a personal and creative stamp on the merger. If you do not have a wall of exposed brick and do not want to expose the cumbersome work, you can opt for the option of wall decals that mimic the texture of a brick wall. A wallpaper or a self-adhesive vinyl with bricks is why the solution in cases where, for whatever reason do not own the possibility of such a wall. The application of wall decals is easy, quick, clean and much cheaper than hiring someone to do the work of exposing the bricks of a wall in your home. You can choose to apply the vinyl on a whole wall, two or all walls of the room. You can also choose the tone of the paper, either to imitate the classic brick reddish, or to experiment with other colors and to give a more personal decorating your home or workspace touch. It is time to decide to experiment with this trend brickwork indoors, so popular today. Try it and see how easy it is to change the face of environment you want. Since Vinilismo.com you expect for you to make us get all your questions about how to decorate with brick, either your home or office. This entry was posted in Interior Decoration, Wall Decals on September 18, 2015 by Vinilismo. Those engaged in related art and aesthetic activities; know that diversity of tastes and preferences is as vast as the number of people in the world. Or as they say popular way: "there are tastes for everything." So, that some find unpleasant, for others it's beautiful and vice versa. But it is also true that there are more or less established parameters to define what is considered aesthetically pleasing and what is not. There are criteria of balance, color scheme, etc. However, often these aesthetic conventions break and give way to styles that disobey. One of these styles is the Kistch. Kitsch is a style that is primarily associated with extravagance, pop culture and is at the opposite extreme minimalism. The colors and shapes will be protagonists in this feature "aesthetics" of Kitsch. The colors are garish mostly: fuchsia, yellow, red, gold. 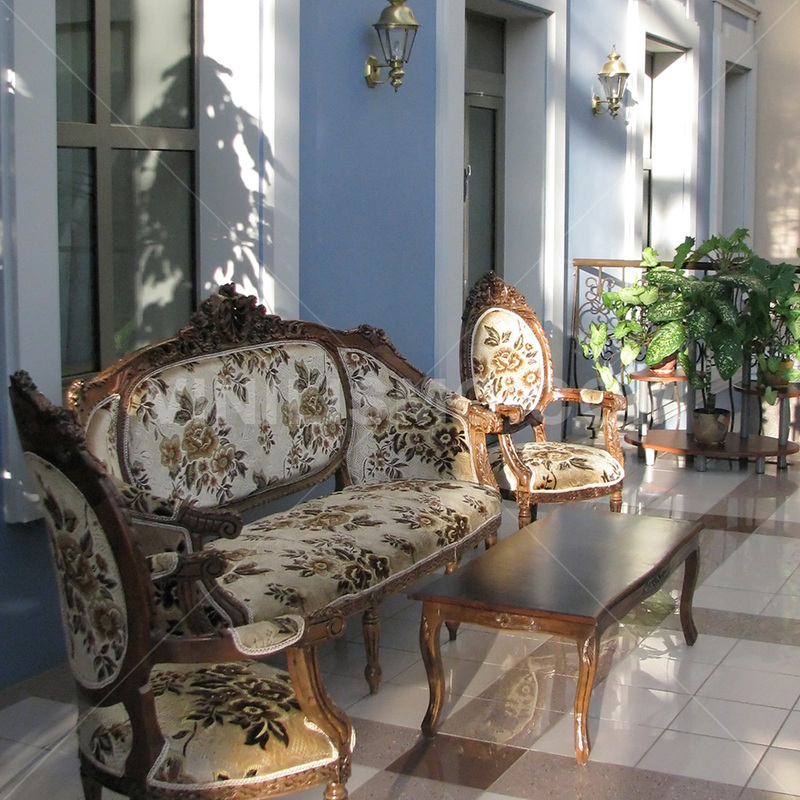 In the decoration of homes, including unusual patterns it is typical of this style. Animal-Print in the kitchen and retro motifs in the bathroom to give an example. Kitsch can be a good choice if you are looking for a fun style that will give freedom to add foreign objects. If you are a collector, or if you like retro fairs objects, kitsch is for you. The absurdity of the mixtures (of ages, colors, patterns, fabrics, materials and textures) can incorporate objects of different styles that would not work in other decorative trend. In this particular trend can coexist religious figures, amulets, sculptures, artificial flowers, mirrors, kitchen sets in the living room or office toys and comic scenes, among other strange combinations. 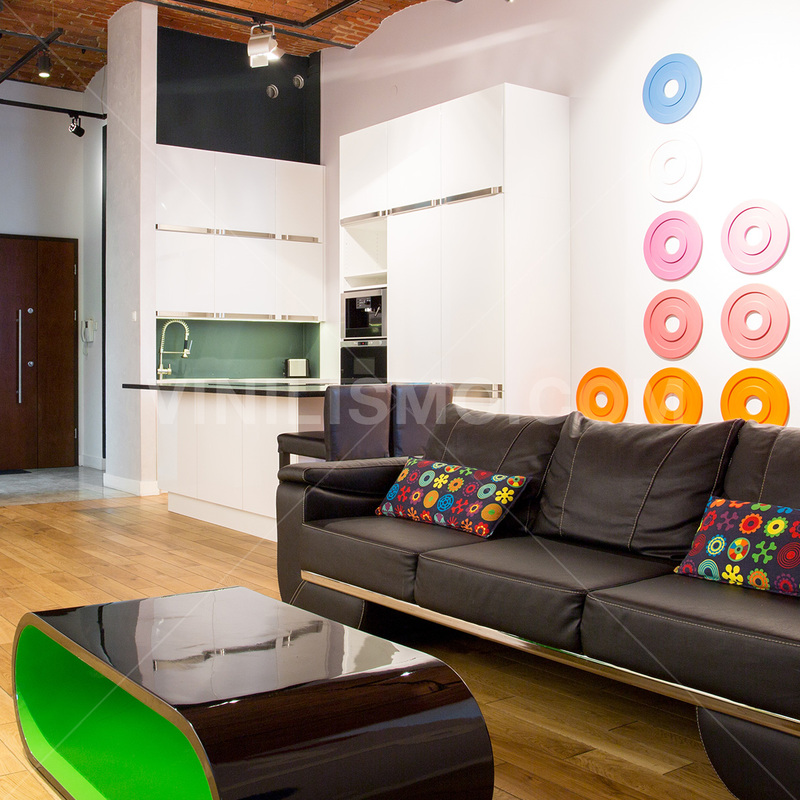 When reflect the style on the walls, an excellent option is to use self-adhesive vinyl. If you do not know what they are, here we will explain and give you some ideas for decorating with kitsch. If you still have doubts, you can check out our store wall decals. The decals can be a great help in an environment giving a touch of style you need. The vinyls are easy to install, clean, customizable and can be removed and replaced periodically if what you like is permanently renew. 1.-Order in our wall decals shop two or three large photographs with the image of an actor or actress from the golden age of Hollywood. Can also be a local artist of the last century, it will even give you a more personal touch. If the design is black and white with a little detail highlighted in a garish color, much better. 2.-The geometric motifs represent very well the retro kitsch. You can fill the entire wall, part or you can use a border that surrounds the subject and playing the four walls of the room. Now that you have the information and find inspiration in our store and choose wall decal more to your liking. This entry was posted in Interior Decoration, Wall Decals on September 17, 2015 by Vinilismo. Moving in is only one of the most important steps we take when peered into adulthood. New responsibilities, new tasks, many things we did not know that someone did and now we have no choice but to take charge and take care of everything. But not all are responsibilities and duties. Living alone implies a dose of freedom and autonomy that leads us to meet us and allows us to express our individuality. One of these expressions is the decoration of our first apartment. The place in which we live can be an expression of our personality, and that is achieved with the decor. How many times we are left with the desire to buy a piece of furniture because "did not combine with the style of the room"? We always had to obey the orders of the homeowner, but it turns out the owner is you. You have the freedom and power to decide all about decorating walls, the choice of furniture, colors, objects, curtains, etc. You'll probably find a bit overwhelmed by so much freedom, and need tips for decoration. 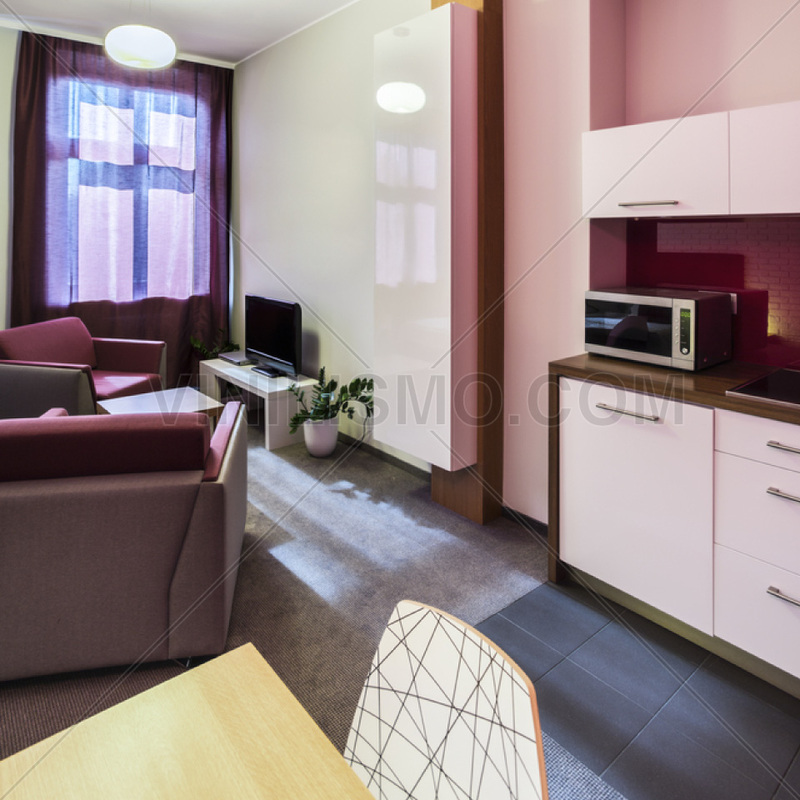 Do not worry, here are some tips to decorate your first apartment. 1.-Keep it simple and functional: If you've never decorated atmosphere, do not exaggerate. First get the basic furniture and textiles. When everything necessary is in place, you can begin to add details. A good start is to make your mark by decorating walls. The wall decals can be of great help to you at this time. Search the efficiency and functionality in your furniture and learn to let go of those things you do not use. Think the use to every environment: Will you receive visits? You will study in a group? 2.-Study your budget: do not spend more than you can afford. There are ways to recycle old furniture or customize economic furniture that say anything of you. For this you can also use decals. Place a model that is to your liking on the coffee table in the living room for a personal touch. 3.-Ask for help: If you feel overwhelmed or do not know what to do, ask a friend or relative who knows more than you. Learn to ask for help when you need it, then you will take the decision. 4.-Be true to your style: Dare to experiment, and you can be sure you will make mistakes, and that's good because it is the best way to learn. If you think you do not have a definite style, be patient, observe and experience: and you shall find. Remember that a simple and versatile way to customize your department are with self-adhesive wall decals. For wall decoration you can use them as a wallpaper or border paper. They also serve to customize furniture and even appliances. 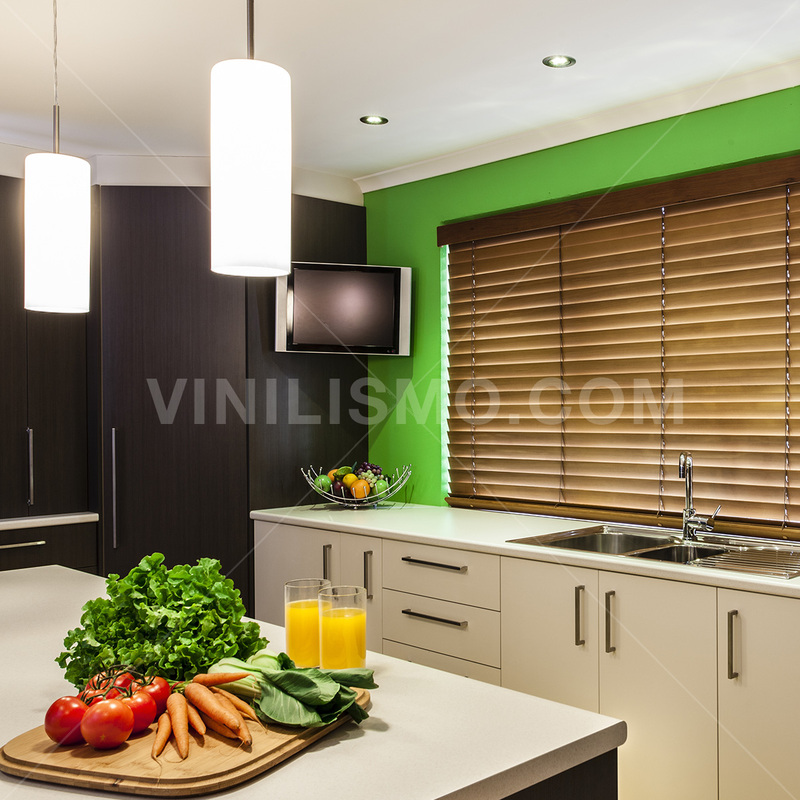 This entry was posted in Interior Decoration, Wall Decals on September 11, 2015 by Vinilismo. Among the many trends in decoration, there Chill Out style. But what does it involve? Is it right for me? Can I bring my department this style? 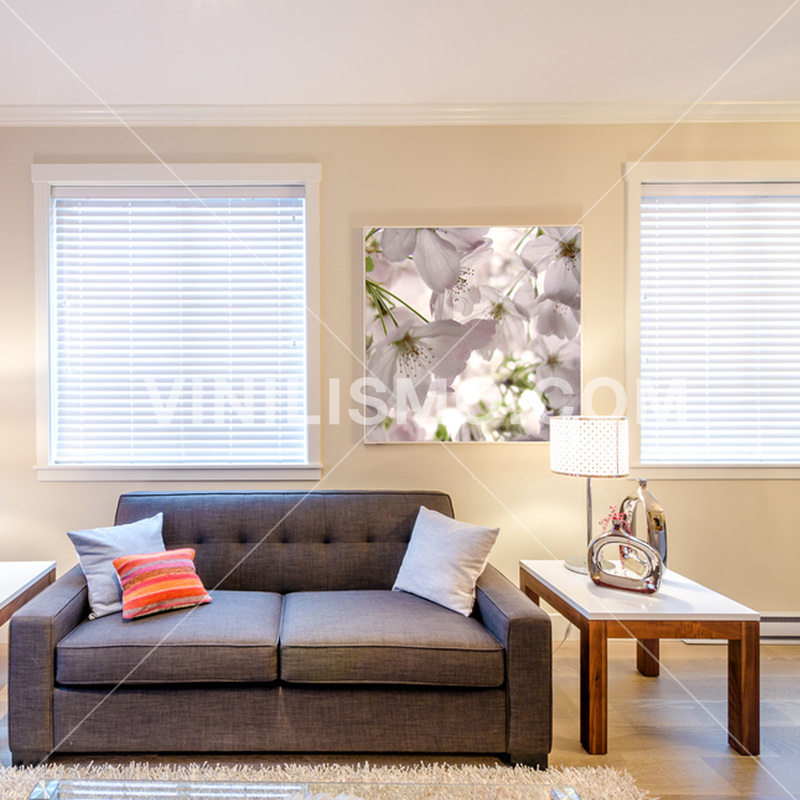 From Vinilismo.com we respond one to one these questions and then review some basic tips for a furnished apartment Chill Out style. What is the Chill Out Style? This style is based on the English expression "Chill Out", which means to relax or hang relaxed. More than a style of decoration is a concept that will guide you in choosing the elements that compose decorate the room so that everything points to relaxation, to the quiet fun, to the enjoyment of leisure time. Therefore, the "style" chill out has such flexible features and relaxed as its name. There are no strict rules but a few guidelines to follow. 2.-Think about who will spend leisure time in that environment. 3.- Direct all efforts to achieve an environment which make you want to sit or lie down and spend a long time away from the worries. With these three slogans in mind, it is appropriate to think about what is relaxing for your personal idea. First of all, think about whether you want your space Chill Out, inside or outside. If you have a patio or balcony possibilities change. There you can put a hammock to relax. Inside, a comfortable chair is essential. In general, the colors must be cheerful but not too aggressive. We do not seek a depressing but relaxing atmosphere, but not euphoric. The plants contribute to a special energy environments. If you can look after them, include in your decorating plans. If not, there are cactus. They fit well and do not require much care. An exterior window helps create the atmosphere we want, but beware: the window should have a good view or at least not bring noise. Accessories can be sources of water, a good music player and speakers for your mobile device, and large cushions scattered around the room chairs. Chill Out space should be thought to be shared. Keep this in mind when buying furniture. Do not forget to allocate budget for lighting. It should not be very white, looking for a warm lamp and if possible, put different lights to vary the intensity of illumination. Accessories and furniture can be customized with the reason or pattern you like, with the use of vinyl. 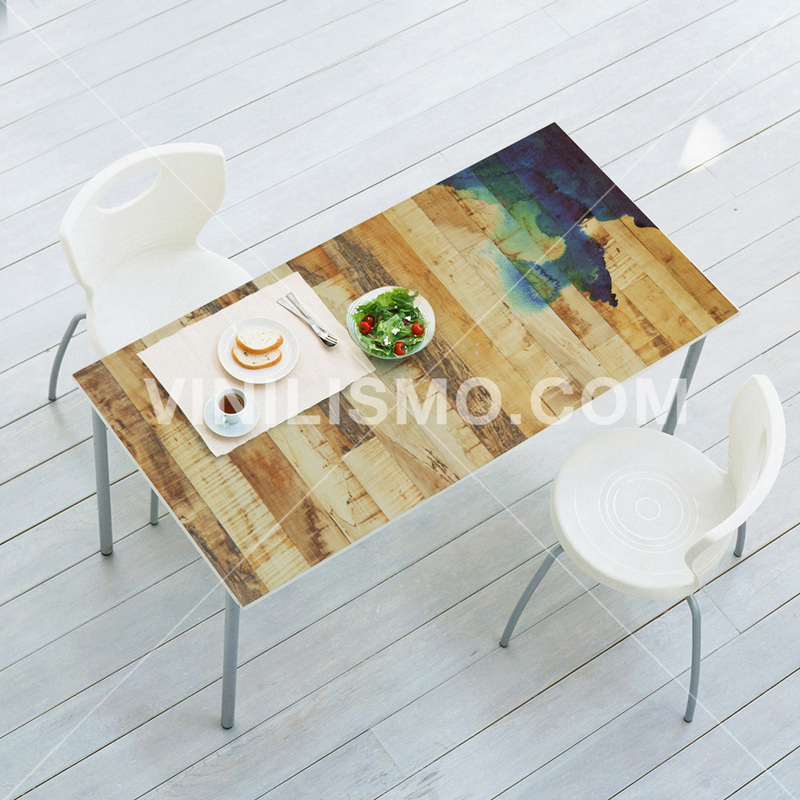 In Vinilismo.com, local market leader wall decals you can find many options for this. The vinyl will be a wild card to complete the decoration of the walls in your room Chill Out. In our shop wall decals you can request a piece that plays a stunning panoramic view to watch while you relax in your armchair. Another idea is to place motivational phrases or make you think. The phrases can be changed periodically as the vinyls are easy to install and remove. The great thing about vinyl is that they are highly customizable, so you can let your imagination. So I hope in our wall decals store for you to choose the design that best suits your personal project. This entry was posted in Interior Decoration, Wall Decals on September 10, 2015 by Vinilismo. France, enlightened country, the birthplace of the May Revolution, the French May. Birthplace of great poets, painters, writers. France is also a world symbol of elegance, good taste and trend. French decoration is unique, with its refined and classic style inspired especially in times of luxury and glamor of early last century. At that time, the abundance and the indifference of the bourgeoisie came to be reflected in an all encompassing style decor, art, fashion, and other areas of daily life. This period is known as the Belle Epoque. If you consider sophisticated, elegant and glamorous, perhaps it's time to bring a bit of French style to one of the rooms in your home. Only a matter of deciding and follow our advice. We now examine those inevitable features in a room decorated in the French style. French decorating style without failure can be very complicated. You must be careful not to overload environments and be very thorough when choosing mixtures of textures, shapes and materials. When in doubt, choose the most luxurious. If fabric, silk. If are cups, porcelain. If you can incorporate elements of metals such as silver, it will be very successful. The furniture should be of good quality wood. And although we are not talking about decoration and construction, wood also go very well for floors. Give much importance to lighting is fundamental. To do this, you will need to find fine crystal chandeliers and precious metals. As for colors, it is advisable to take a neutral base clear, and then bring you more brilliant shades of colors like gold, red or blue. For textile designs, you can incorporate floral. The accessories that can not miss in your room are French paintings and mirrors. A couch will be an interesting addition that will take the role of the room. Looking for an elegant upholstered to match your choices on the walls. In the decoration of walls, you can choose landscapes or even a replica of a painting by a French artist that is your taste. Shoddy replicas will pull down all your effort. To avoid this, opt for placing wall decals. The wall decals have many advantages when planning to decorate walls. One option is to cover the entire wall with smooth vinyl or some pattern that relates to the style you have chosen. Another option is to choose an image, such as sunset in Venice Monet and place as a giant replica of the head of the bed. You can also choose a phrase in French, such as "Carpe Diem" and use it to decorate walls with custom decals to inspire a better start each day. 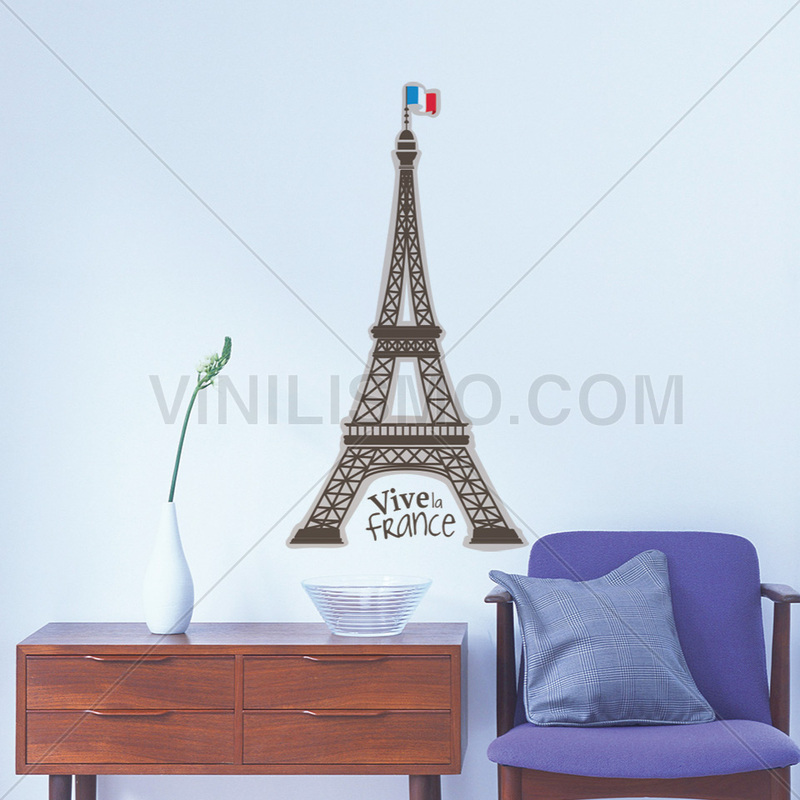 Whatever the way you do, your vinyl will help in giving the French touch to your room. This entry was posted in Interior Decoration, Wall Decals on September 4, 2015 by Vinilismo. When it comes to decorating, we must not only take into account our tastes and personality, but also the limitations of the environment. 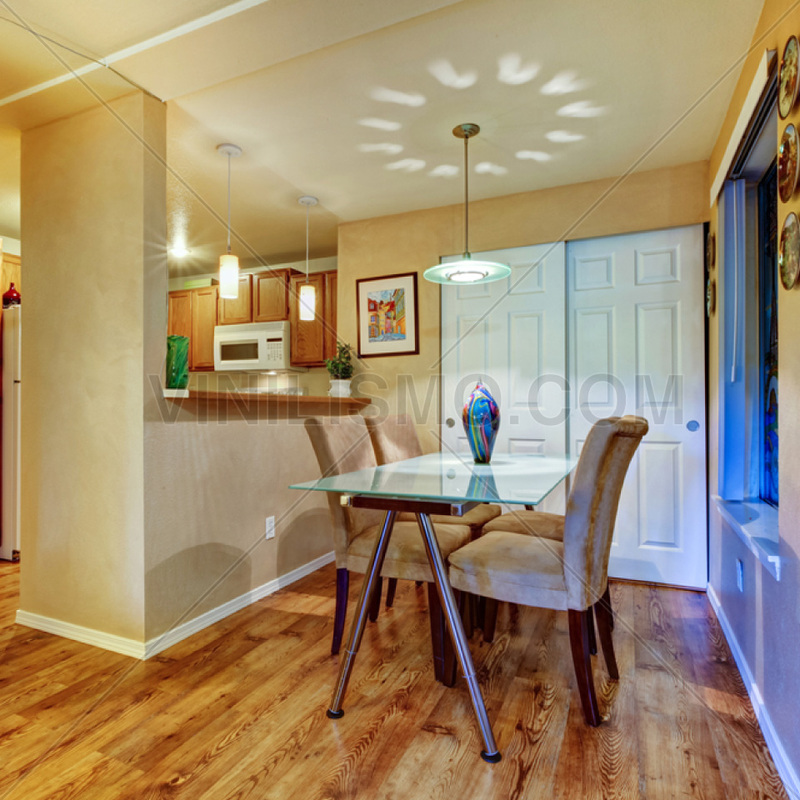 For example, you would not paint a small room with a dark color because it will look even smaller. It is therefore interesting to know some visual tricks that will help alter the perception we have of the environment. 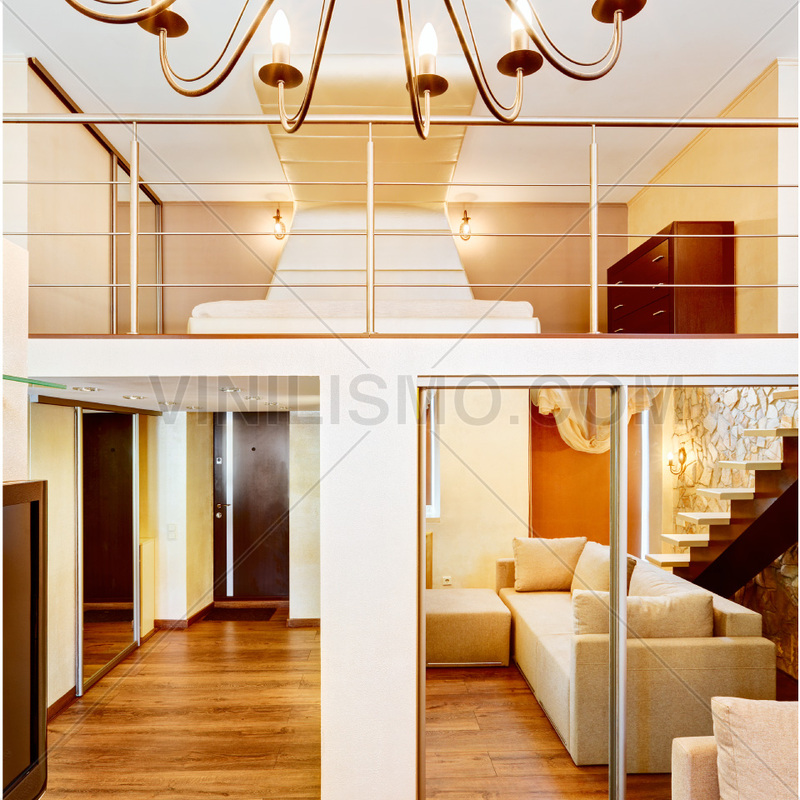 Horizontal lines are an important resource to decoration of environments. According to the proximity and extension of the same, they can fool the human eye to perceive the dimensions of a room differently than real. Sometimes at work we feel locked, we feel that the space is small. Creativity does not flow if the environment makes us prisoners. The decoration of offices can help to change the perception of the environment around us. Horizontal lines can help you see your office a larger size than it actually is. 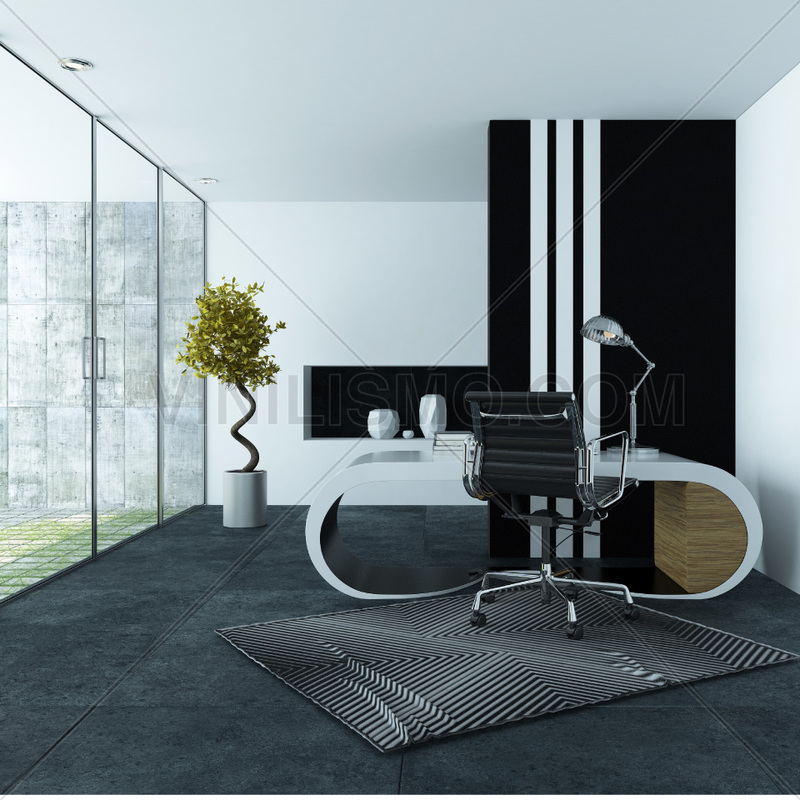 1.- For those offices that have small dimensions: if you feel locked in your office, decorate the walls with horizontal lines will generate the illusion of a larger room. Choose two colors (can be three if you dare) to apply to the walls of your workplace. 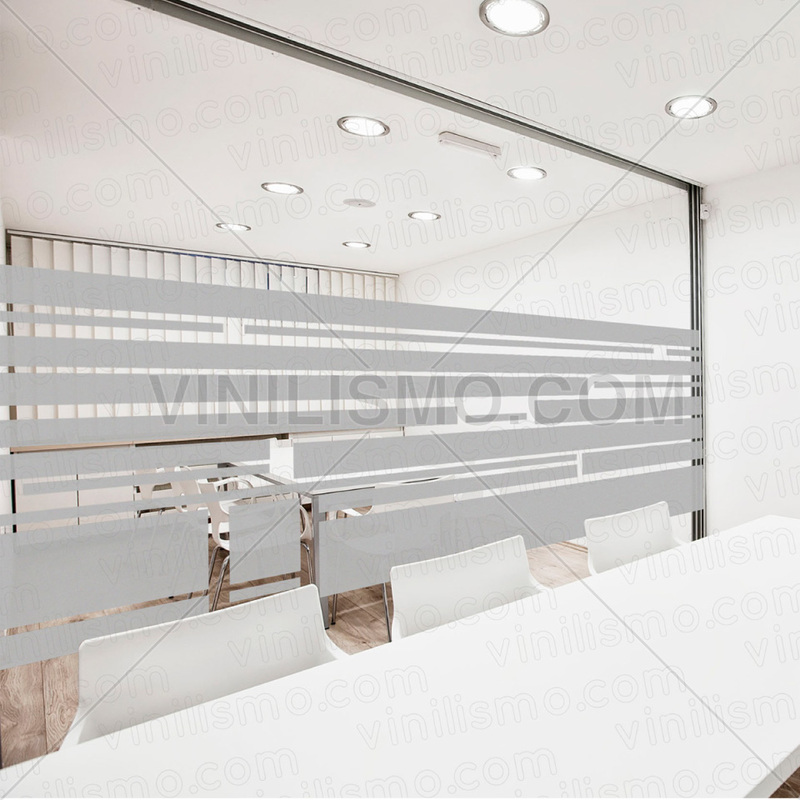 2.- For an office holding low ceiling, the solution will, however, the incorporation of a motive of vertical lines. As in people, vertical lines will see your office "higher". Another option, especially recommended for creative environments is the inclusion of oblique lines, which bring dynamism and energy to decorate offices. A general recommendation is to decorate only one wall with lines, either horizontal or vertical. Then choose a color of the same pattern for the remaining walls. Otherwise the room will be overloaded and could be a factor of decentralization. Of course, this runs like who spend their working time in the said office. 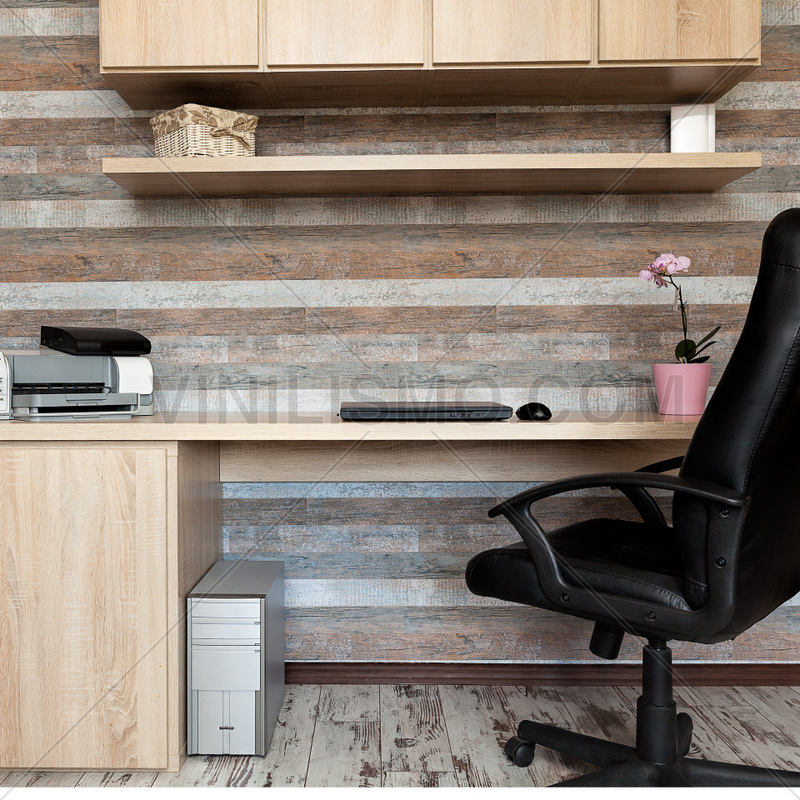 The best way to incorporate patterns with horizontal lines to your office is through the help of wall decals. The vinyls are the best for this task than traditional painting, as they ensure neatness, symmetry, cleaning, among other advantages. The wall decals are not only a great help when decorating the walls of your office, but also can be easily applied to any piece of furniture, mirrors, and even on appliances. 4.- Decorating style of the rest of the surrounding environments. Undoubtedly, the wall decals will be a great help when it comes to giving your office the style you want. 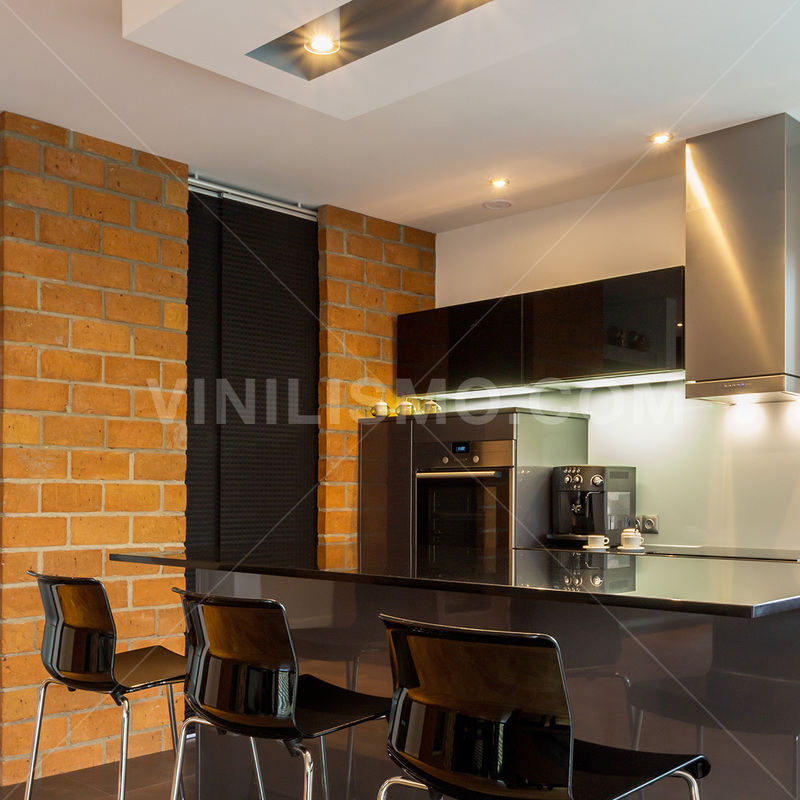 This entry was posted in Interior Decoration, Wall Decals on September 3, 2015 by Vinilismo. Decorating styles for homes are many and varied, allowing each person to choose one that best suits your personality, your tastes and your needs. For those simple and quiet people there are minimalist lines. And for those who love the generosity of materials, colors and textures, there are also options. Among them is the baroque style. The definition of "Baroque" is historical and is taken from the artistic movement born in the seventeenth century. The Baroque flooded all the arts: music, painting, and architecture. In Europe there are several classical buildings built in this style. While the Baroque style has softened from the original motion, the abundance of forms and details still representing it. Colloquially often define this style as "exaggerated or overloaded" and we could say that some of it is. Therefore, to know the characterization of this trend, we must consider many variables: the decoration of walls, the colors, furniture, materials, whether or not of flowers and plants, prints, etc. As for colors representing Baroque say that a basic to serve as a starting point can be a neutral color that will be enriched with the addition of various colors more intense hues like purple, gold, embroidered or the black. Fear not use them all together. The important thing is finding the right mix for the distribution of your palette. The current produced by the abundance of these strong and dark colors can be smoothed with details in very bright colors: pearl white, gray very light. In furniture style, you need to forget the straight lines. The baroque loves curved lines, so your task is to find furniture that meet this fundamental requirement. The couches and chairs should be low legs and, if possible, contain armrests in curved shapes. Following the couches and chairs, choose those with fabrics like velvet upholstery. If they are upholstered in another material, gets an upholsterer to take care of the problem. The prints in this style will be of arabesques, oriental forms or floral prints for both curtains and cushions to decorate walls. At this point we stop, as paint to achieve this effect can be expensive and require professional help. To do this, we recommend using wall decals. The vinyl can be used in your project decorative to give to the wall decoration the baroque style you're looking for. Remember vinyl designs are customizable, and these are easy to install and remove and in a simple and clean installation. If you have any questions or want some advice to decorate your home in the Baroque style (with or without wall decals), from Vinilismo.com we are waiting to advise you on what you need. This entry was posted in Interior Decoration, Wall Decals on August 28, 2015 by Vinilismo. In recent years, the oriental culture in general has become an inexhaustible source of inspiration for architects, decorators, designers and related artists decorating houses. Decorate following the premises of feng-shui was a trend that was fury in the 90's all wanted to help the energy flow through their homes and repel negative energies. Eastern culture attracts, because it is able to combine perfectly balanced sobriety, simplicity and naturalness. A decorated environment following features of Japanese culture will generate a sense of order and calm in modern life it appears chaotic and unstoppable. The key to the success of your project is to target the Japanese Zen decor. But what is Zen? Zen concept in Japanese culture is somehow aware of everyday experience of living. Zen is above all an experience of knowing oneself. The decoration and organization of a Japanese-style environment, this concept is mainly translates into practicality, which should not elaborate objects are not used. Passing places should be clear and allow the free flow of energy and people. You must get rid of those furniture and all kinds of objects that are just taking place and not play a role in your life. If they are in good condition you can donate. The Japanese room is in essence, minimalist. Everything is minimized to increase in cleanliness, order and tranquility. Color: can include neutral like white, beige and light brown; and break the monotony with some primary and red or blue and even green can work. Materials: cotton and silk textil elements and wood for furniture (which should be rare) and doors. Furniture: in homes are rare oriental style furniture. But you can join a coffee table in dark wood. Sliding doors should be to mimic the traditional "shoji", which have a part made of paper and which aims to filter sunlight and allow the rooms receive natural heat. It should also be mentioned the futon, a traditional low Japanese mattress. Prints: the prints are mostly floral. A widely used for these decorations flower is the sakura, or cherry blossom. To accomplish reflect this style, you can resort to the help of the wall decals. One way of incorporating the oriental style in decoration of homes is by using wall decals. The vinyls are easy to install, not dirty and are highly customizable. For a room decorated in Japanese style, one possibility is to choose a phrase related to the oriental culture and decorate a wall with it, but with Japanese characters. Or smaller, choose a simple word like love and peace, which represent us or we want to incorporate into our lives. This entry was posted in Interior Decoration, Wall Decals on August 27, 2015 by Vinilismo.